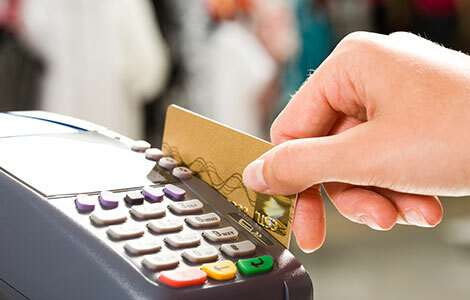 Investment Savings Bank is pleased to offer VISA Debit Cards with a number of checking-related bank accounts. Individuals with Basic Checking and NOW accounts with ISB (Upon approval of application by ISB). Same as cash at point of sale (anywhere VISA is accepted). Deposits, withdrawals, transfers and balance inquiries at ATMs. Universal acceptance. VISA is accepted at 15 million locations worldwide. Convenience of not having to carry cash or checks. 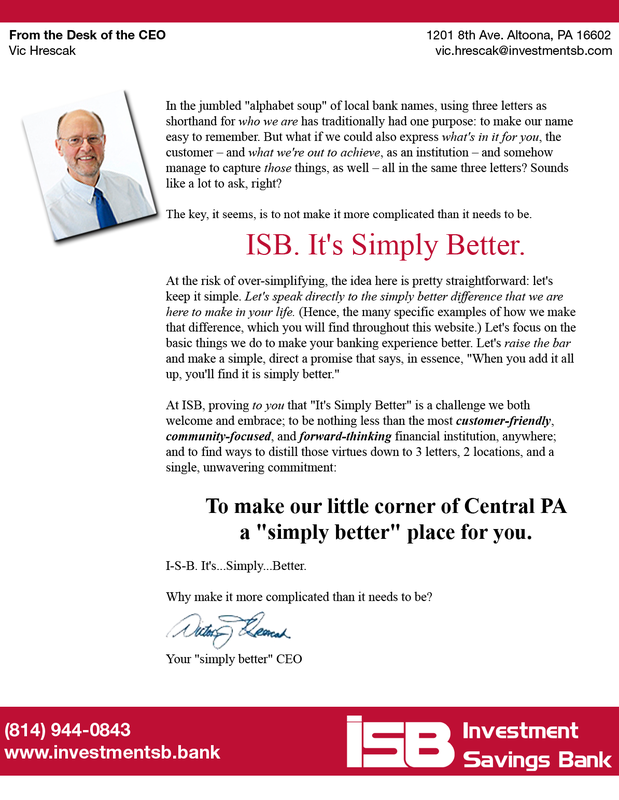 Convenience of ISB ATMs at the Altoona and Duncansville offices and numerous other surcharge free ATMs. Less visits to the bank. No per transaction service charge. $2.00 per month (unlimited usage at any location).